Boralus Intelligence Agents are tasked with obtaining information valuable to the success of our campaign against the Horde. To this end, a field manual for the extraction of intelligence from enemy combatants and prisoners has been developed. Only properly trained interrogators are to apply the more advanced techniques discussed in this manual. As the interrogator, your goal is to extract useful information - anything outside of that is irrelevant. Any misplaced moral reservations and sympathy towards your prisoner are to be tossed overboard. Your mission is to save the lives of Kul Tiras Sailors and Marines, not give comfort to the enemy. Having said that, there are two types of approaches the interrogator may adopt - depending on the situation. When an enemy combatant has been captured and valuable information must be extracted immediately in order to shift the tide of battle - the most aggressive interrogation techniques are needed. There may be barriers both in language and in establishing a more sophisticated relationship with the captive that can yield a greater breadth of information - use any means necessary, including the harshest enhanced interrogation techniques discussed below. When an enemy has been successfully been transferred to a secured facility where they can be interrogated for an extended period of time - days to weeks or even years. In this instance, establishing a relationship with the prisoner that makes them completely dependent on their captors for every aspect of their survival, well-being and self-worth will slowly have them turn to you as a source of hope rather than despair. Those held in our captivity are both the weak and the cowardly - otherwise they would have had the nerve, strength and humility to recognize they were out-matched and embraced their own deaths with honor and dignity. 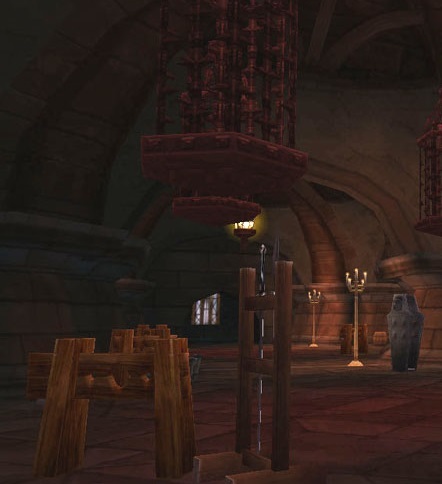 These prisoners, weak and cowardly as they may be, will still serve a purpose by providing us with valuable intelligence that will save the lives of Kul Tiras Sailors and Marines. Prisoners should be under constant watch and their ability to communicate with one-another limited as much as possible, though not necessarily eliminated completely as even a passing rapport between the prisoners can be used against them with the most intense of enhanced interrogation techniques. The only persons the prisoner should ever communicate with for an extended period of time is their interrogators - and only at the time and for the duration that the interrogator decides. 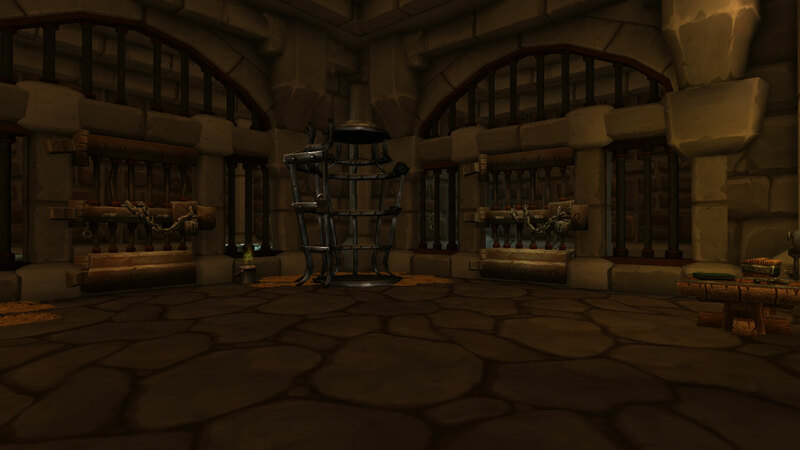 Once a prisoner has surrendered all the information that is believed to be useful, they may be released if it is believed that their release will not pose further threat to Kul Tiras. If this is not the case, then the prisoner will be transferred to a cell adjacent to another prisoner whom we are still interrogating. These two prisoners will most likely, over the course of time, begin to develop a rapport or friendship which may be useful later on. Standard Interrogation techniques are best utilized against prisoners from races with more advanced cognitive and reasoning abilities. They are not very effective against the savage races who respond more reliably to brutality and force such as Orcs and Trolls. Standard Interrogation Techniques are typically practiced within an extended captivity situation such as a brig or detention center. They are not suitable for battlefield conditions where lives are in immediate danger. You must establish that you are in control of every aspect of the situation, and that you can either make the situation improve for the prisoner, or make it get much worse - depending on the decisions they make and the information they provide. The prisoner must feel that they are both dependent on you for any relief to their plight, and at your mercy. Keep the Prisoner Talking. Even if you have to start off the interrogation with talking about something unrelated what you're interrogating them about. Getting the prisoner to start talking is important to establish that the more they talk, the less bad things will happen to them. Control the subject matter of the conversation and direct it towards the subject of the interrogation - like navigating a ship through a storm at night. Listen for any clues that might link the conversation to the real subject, and adjust the course of the exchange in that direction. Make the prisoner completely reliant on you for every aspect of their lives. The only contact they get, the only food they get, their only hope for an relief in their plight and discomfort should be you, their captor. Be their greatest fear, and their only hope, the only voice they ever hear. Completely and utterly dominate them physically and emotionally. Just as even the strongest sea-wall can eventually break from a single hairline fracture, so can the will of a captor be shattered. Always know that you are in control, and sooner or later - they will accept it and relent. Enhanced Interrogation Techniques are best used when information is urgently needed to save lives that are in immediate danger, such as on the battlefield or when we have reason to believe that an attack is imminent. They can also be used over an extended period of time against particularly dangerous prisoners who require that little extra bit of attention to be persuaded to cooperate. Allow only the most minimum amount of sleep to keep the prisoner from dying or going insane. They may be allowed a full night of sleep only if they provide useful information. Sleep deprivation can be most easily accomplished by throwing buckets of freezing cold water on the prisoner's face while they sleep while simultaneously shinning bright lights and sounding loud horns right in their face. A prisoner should be locked in a completely dark room with no windows and where no sound can be heard from adjacent rooms. This will force the prisoner to focus on their plight, and give them no way of escaping or being distracted from the thoughts circulating in their head. Sensory deprivation also enhances the effects of the sleep deprivation technique covered above. Some prisoners will refuse eating as a way of resisting their captors. Prisoners must learn that resistance is futile, and if forced feeding must be done to reinforce this reality, then they will be forced to eat one way or another. If a prisoner induces themselves to vomit as a way of resisting force feeding, then the food will be ground up into a fine paste and forced into their body through their back side. Eventually the prisoner will prefer to simply eat the food as we dictate it rather than be subjected to the humiliation of forced feeding through their back side. Subjecting prisoners to physical discomforts outlined above can and should be supplemented with some light corporal punishment, be it in the form of punches, slaps, kicks and some light cuts and slashes. Light corporal punishment should be the default response to the prisoner refusing to provide information, with incrementally more intense pain and strikes being inflicted as the interrogation proceeds. If a prisoner gives the interrogator information - then light corporal punishment should be ceased temporarily while the information is evaluated for veracity and usefulness. If the information provided is discovered to be untrue - then Intense Corporal Punishment will be inflicted on the prisoner to train them to refrain from providing false information as a way of avoiding light corporal punishment. This is one of the final and most forceful methods of punishing a prisoner - and should not be used frequently as it is best to reserve it as a deterrent for providing false information during interrogations. The punishments should be long-lasting, such as broken bones, amputated appendages and extremities, teeth or nails being pulled out, hot irons being pressed against the skin with words such as "LIAR" to make the prisoner reflect on why they have been punished. In the event that Intense Corporal Punishment is ineffective from keeping the prisoner from lying, then the final step will be Familiar Execution. If a prisoner has become extremely defiant and refuses to comply even with intense corporal punishment, then one of their fellow prisoners - one who is familiar to the captive, will be brought into the holding area. At this time, the prisoner will be instructed that if they refuse to surrender the information being provided, that their fellow prisoner will be executed in front of them. Intense Corporal Punishment will then be initiated against the other prisoner while the subject observes. Ask the other prisoner if he has any family such as a wife or children to try and coerce sympathy and mercy from the subject being interrogated. If the prisoner still refuses, then their captive will be executed as they watch. If this is done in a holding cell, then the decapitated head will be left in the cell with the prisoner - and a small candle lit next to it so the prisoner can continue to see the fruits of their defiance. The prisoner is chained to the prow with his feet just above the waterline. As the ship is underway, waves will continually crash into the prisoner, both depriving them of sleep and also putting them into a state of continued duress. Prisoners should be positioned such that they are not at significant danger of actually drowning, simply such that they cannot sleep to simulate the effects of sleep deprivation techniques. The prisoner is tied to a line, which is then looped underneath the vessel either from Bow to Stern, or Port Side to Starboard Side - depending on how severely the prisoner needs to be punished. The prisoner is then thrown overboard and dragged underwater over the keel as he is pulled to the opposite end. Getting dragged over barnacles and other sea-borne growth attached to the underside of the vessel will cause various lacerations on the prisoner while being dragged, and he should be a bloodied, exhausted mess when he emerges on the other side. An option for Familiar Executions while onboard a ship, the threat of walking the plank in shark infested waters is enough to turn even the most hardened and defiant prisoner. A long plank is extended out the side of the ship, and a prisoner is made to walk down the plank until he simply has to jump into the water. The longer the better so that the subject of the interrogation gets extra time to consider whether to relent and surrender information while his fellow prisoner begs and pleads for salvation. The prisoner who is walking the plank should should have his feet bloodied with fish hooks to ensure that the blood will attract sharks to his location, and that the prisoner is eaten from the feet up to prolong the punishment before he is finally dragged down into the deep.